Catherine Garcia Flowers came to Houston following Hurricane Katrina in 2005, a violent storm in which she and her parents both lost their homes. 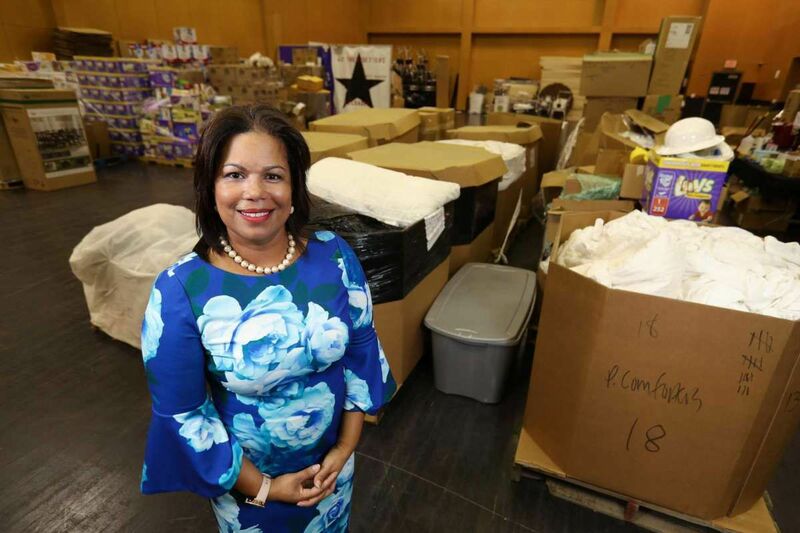 She soon met Pastor Rudy Rasmus, who saw her vast energy and potential as she quickly went to work feeding Houston's hungry and less fortunate. After Rasmus founded Bread of Life, a nonprofit serving Houston's homeless, they stayed in touch. And when Flowers was considering a move to Honduras years later, he talked her out of it. His reason: Rasmus needed her to take the reins of his growing organization. She agreed–and within just weeks, Hurricane Harvey struck Houston. Her decision was seemingly meant to be, as Flowers was perfectly positioned to help after her experience with Katrina. Perhaps most importantly, her empathy for those affected by the storm was strong, and borne of her own tragic experiences. To hear Flowers' truly remarkable story, read this week's article in the Houston Chronicle.